Eric Pennella isn’t letting Hodgkin’s Lymphoma stop him from an education. Pennella, 32, started the one-year Computer Aided Design and Drafting (CADD) certificate at Portland Community College’s Southeast Campus three weeks after finishing chemotherapy. At the age of 13, he was told he had the genetic disorder Charcot-Marie-Tooth Disease (CMT), a degenerative nerve disease, and after age 18, his doctor told him he would need six surgeries over the next two years. He finished the final rounds of surgeries by the time he reached 23. Faculty help students develop industry-standard skills, including freehand sketching, 3-D modeling, materials and design for manufacturing processes, design technology fundamentals, mechanical drafting, and more! Offers a one-year certificate and three Career Pathways short-term certificates in CADD operator, mechanical drafter and technical designer. Great for returning students or industry professionals to upgrade their skills in latest technology and tools. Pennella, who wants to become a mechanical engineer, had just started PCC’s Civil and Mechanical Engineering Program when complications from the chemotherapy interrupted his plans. As he took time to recover, he had a chance to rethink his education and decided to shift to the CADD certificate. 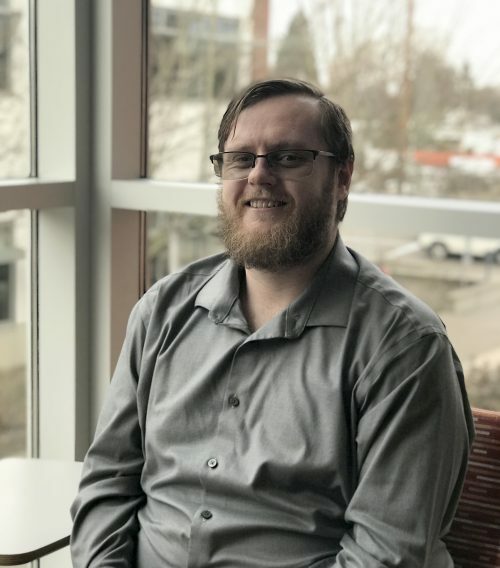 Armed with this certificate he’ll be able to find an entry-level job and use it as a stepping stone to Portland State University’s Mechanical Engineering Program. Stories like his are what PCC is all about. In fact, the current legislative budget request for the state’s community colleges would double the seats in high-demand CTE programs across the state the next biennium (2019-21), earmarking $70 million to grow CTE offerings like CADD. 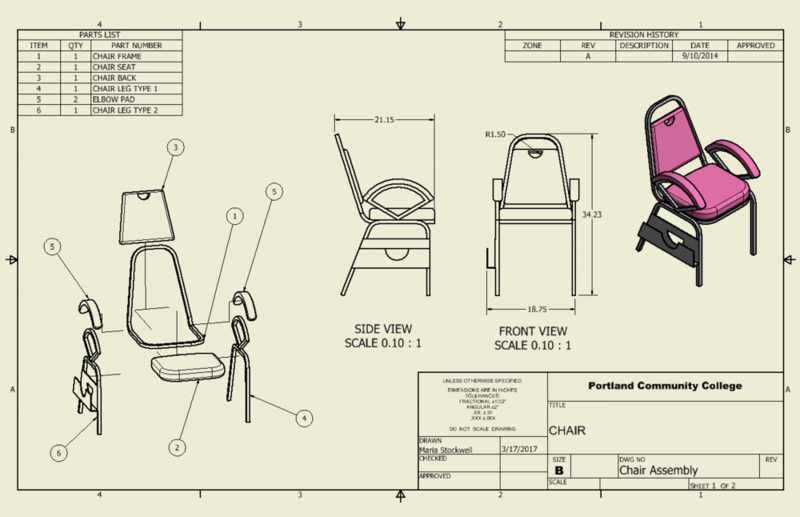 Drafting schematics to develop a 3D chair. 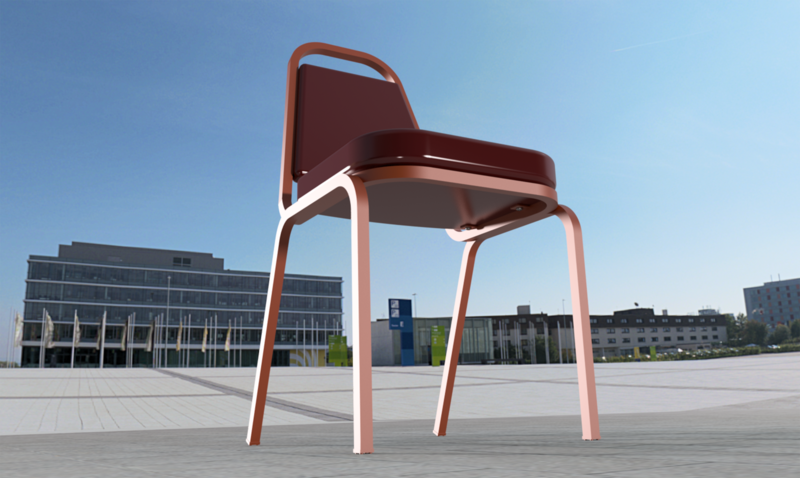 A chair drafted by student Jack Starr. Congratulations, Eric! Your hard work has paid off!